The ground is erupting with life, buds are ready to burst and colour is reappearing in the garden. I recently visited the newly refurbished Garden Museum based in St Mary’s, Lambeth on the south bank - near Waterloo. The museum houses a wealth of information and artefacts about garden history, designers and specific gardens of note. There are all sorts of permanent and topical exhibitions on show there with videos, antique garden items and huge amounts of footage from top garden designers over the ages with garden plans and ideas to be explored. There are also lots of activities for children as well as a really lovely cafe. Originally set up by Rosemary Nicholson in 1977 to preserve the beautiful building of St Mary's church and the tombs of the John Tradescants (father and son) famous plant hunters of the 17th century and Captain William Bligh of ‘The Bounty’. The two tombs are within the bounds of the museum now in a central garden space as the museum has grown around them. They are really beautiful in themselves. The Tradescants tomb being carved stone depicting a scene of trees, plants and travel and Bligh’s in Coade stone and very decorative. Both John Tradescant the elder 1570-1638 and his son - also John 1608-1662 - served as head Gardener to Charles 1. John the elder was most famous for his plant hunting trips to the Low Countries, Russia and through his membership of the Virginia Company introducing him to many North American species such as Rhys typhina and spiderwort (Tradescantia virginians). He collected seeds and bulbs everywhere he went and he displayed his collections in his large house in Lambeth ‘The Ark’. This became the first museum open to the public in England. John the younger was famous for his trips to Virginia from where he introduced swamp cypress, the tulip tree and the American cowslip. This initial exploration into plant hunting inspired generations of plant hunters and their sponsors which ultimately has enabled us to enjoy the vast rage of plant species we have available to choose from today. Bligh was buried in the churchyard at St Mary of Lambeth in December 1817 (200 years ago). His greatest achievement being the transplantation of the breadfruit from Tahiti to Jamaica. This had huge significance as it fruits for 7 months of the year and the fruit can be stored and dried providing the basic diet of the islanders at that time. Bligh was first mate on Cook’s last voyage to the Pacific in 1769. In 1787 he was chosen by the founder of the botanic Gardens at Kew, Sir Joseph Banks, to command an expedition to collect breadfruit trees in Tahiti and sail them half way around the world. Around 1000 cuttings were nurtured on The Bounty before the famous mutiny which caused Bligh to flee. He returned to Tahiti though in 1793 on HMS Providence and reached Jamaica with 1281 breadfruit plants. The museum is well worth a visit at some point. I will be returning with time to delve deeper under the covers and explore what other treasures it has to offer. Currently in stock we have a 19th century marble statue of a classical maiden - possibly Flora as she carries flowers and fruit in her clothes and hair - or Autumn - part of a group of four seasons statues. The carving is beautiful with the folds of her clothing and the hand being particularly detailed. She has had a little damage to her arm which probably held a basket of flowers or similar. She remains an absolute joy. We also have these other two beauties in stock – giving you a great choice of good sized statuary. My most favourite book of gardening. 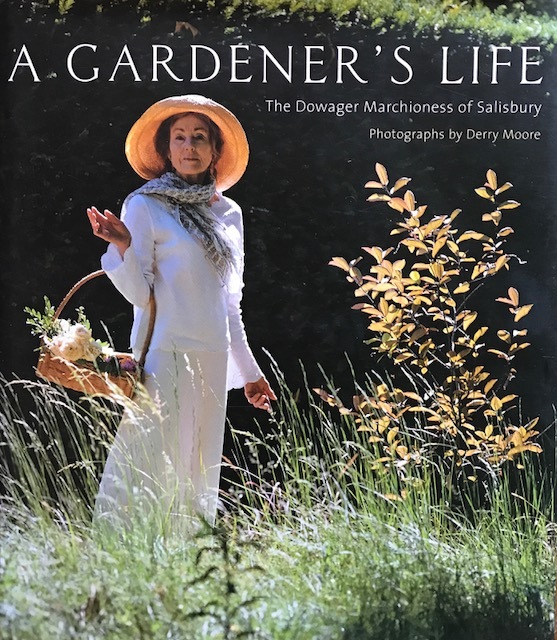 In her own words her life as a developing gardener. Such a natural, passionate talent for gardens, plants and gardening. So much to gleen from this treasure chest of a book. 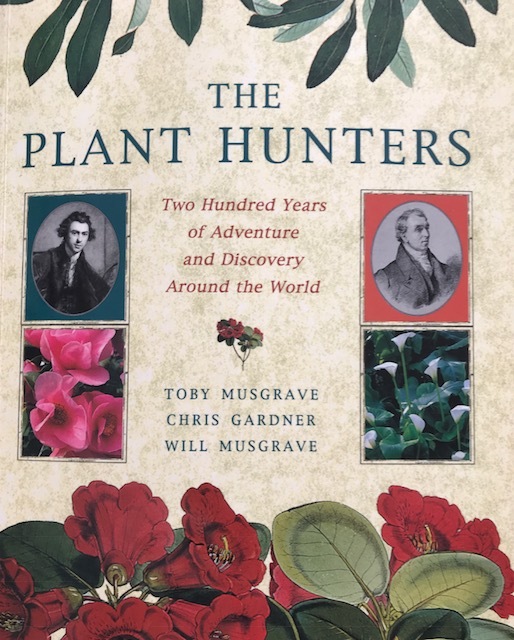 There is a wonderful book - The Plant Hunters. This concentrates on the key people who travelled the world over 200 years of discovering plants. It is a fascinating insight into those times and gives an understanding of the original environmental conditions of the plants which we have become so familiar with in our own gardens. In turn helping us make the most ideal planting decisions. 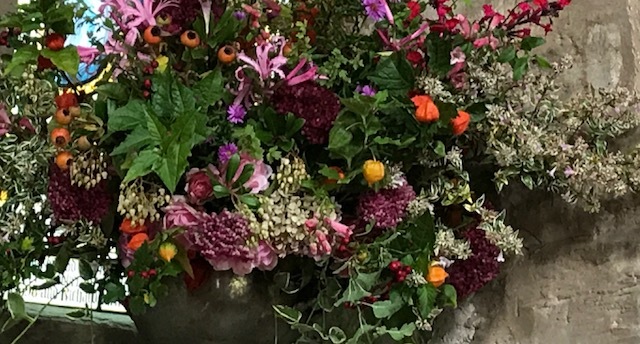 The Royal Horticultural Society has announced all sorts of exciting new areas to enjoy at this years Chelsea Flower Show from 22nd -26th May. There are 10 big show gardens in Main Avenue, 26 gardens on display overall including the very popular and always intriguing Artisan gardens. This year there are also Health & Well-being Gardens - championing the benefits of garden spaces on all our health and wellbeing and Room To Grow Gardens - a section concentrating specifically on town gardens with lots of inspiring ideas to take away. Visit www.rhs.org.uk/shows-events/rhs-chelsea-flower-show/News/2018/what-to-see for more details. We will be exhibiting our collection - Stand No. SR33 in Southern Road the Bull Ring Entrance side of the Great Pavilion. We would love to see you if you would like to come and view the collection at our base in Worcestershire.